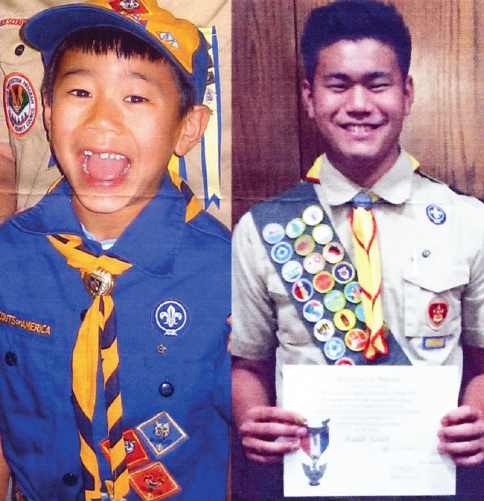 Ryan Yujiro Yamasaki of Boy Scout Troop 568 received his Eagle Scout award at a Court of Honor ceremony on July 23 at Masonic Lodge No. 380 in Huntington Beach. The Eagle Scout is the highest rank attainable in the Boy Scouting program of the Boy Scouts of America. Ryan is the second son of Brent and Kay Akiko Yamasaki of Huntington Beach. Their first son, Brandon, received the honor in 2015. He graduated from Ocean View High School in June and is now enrolled at Cal Poly Pomona. In addition to his parents, grandparents Jim and Kimi Fukuda of Orange, grandmother Yuriye Yamasaki of Whittier, and siblings Megan and Brandon are very proud of Brandon’s accomplishment.